As the sun is finally entering our lives again, we gradually start spending more and more time outside. Whether it’s a quick pint on the terrace or a cocktail with a view: a bit of sunshine can make even your most favourite drink more enjoyable. The only challenge is … that you’re not the only one who’s been longing for this moment all year. With about 9 million Londoners and some 300,000 people commuting to and fro the Square Mile every day, things in the City can get pretty damn busy. That’s why we’ve sought out some places where you can go to (relatively quietly) soak up some sun. 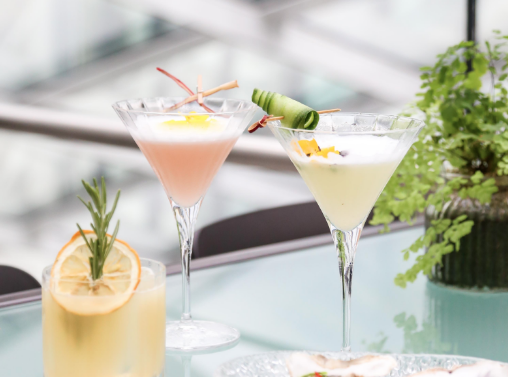 Fenchurch Terrace – Though the magnificent glass dome alone is reason enough to climb all 37 levels of the famous walkie-talkie, its panoramic sky garden also happens to be one of our favourite open-air lounges in the City. Containing beautiful gardens, observation decks and, of course, a wide and spacious terrace, the top of 20 Fenchurch St offers a relaxing escape from the city crowd. 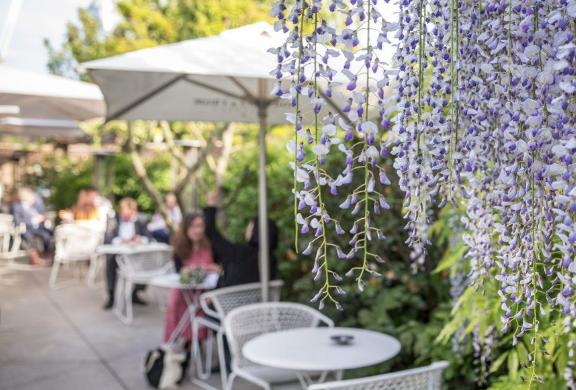 For an exclusive drink in the sun, pop by the elegant Fenchurch Terrace where fine wines and delicious bar snacks are served every evening until 10 pm. 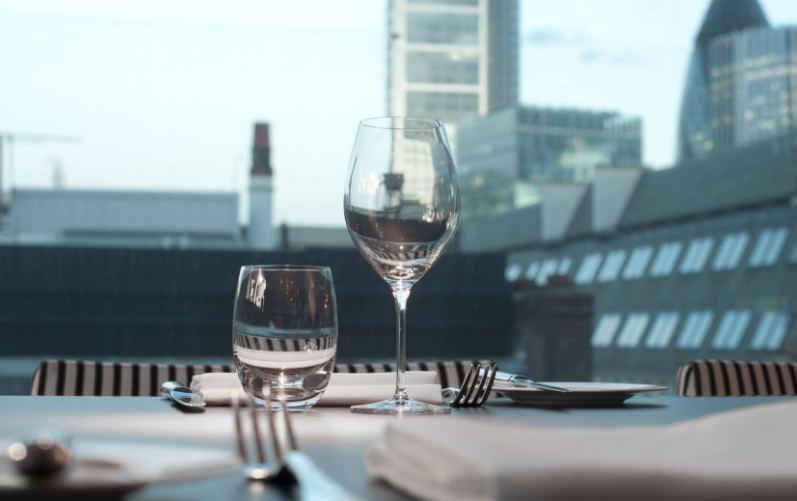 Coq D’Argent Roof Gardens – Another exciting rooftop can be found at no. 1 Poultry St. Slap-bang in the middle of the City, the (partly) covered and heated rooftop terraces at Coq D’Argent look out on London highlights including Tower Bridge and St Paul’s Cathedral. What’s more, the surrounding green lawns will give you a proper countryside feeling (fancy cocktails included), and thanks to the large number of cosy corners it’s easy to find yourself a quiet spot. Outside Terrace at City Boot – As sunny terraces are hard to find in the City, this is a real winner. Located on Moorgate Highwalk, this traditional wine bar offers a wide range of outside seating spaces, with the best spots being on the separate south-facing terrace. The wine selection is fine, including everything from light and aromatic white to sparkling and full-bodied red. A wonderful place to catch some vitamin D right in the heart of the City. Bleeding Heart’s cobbled courtyard – On the cusp of the City and Farringdon lies this cute little bistro, along with an excellent and incredibly peaceful terrace. As the story goes, the courtyard owes its name to the tragedy of Lady Elizabeth Hatton, who was brutally murdered here by her lover some four hundred years ago. The historic courtyard also makes an appearance in Dickens’ novel Little Dorrit. 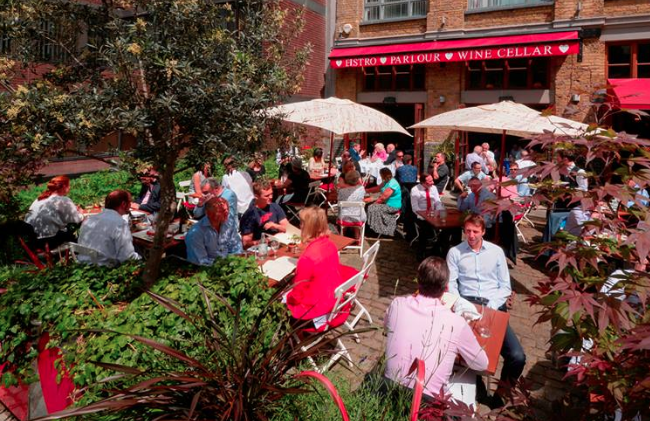 A rich history as well as a cosy terrace to enjoy those rare days of sun: what more does a Londoner want? The Angler roof – Those looking for a culinary treat to go with their sunshine will be well off on the Angler Terrace. Belonging to the Michelin-starred seafood restaurant, the food here is phenomenal and the terrace’s altitude makes for a quiet and relaxing atmosphere. Open from noon to 11 pm from Monday to Friday and 5 to 11 pm on Saturday.